As an organization dedicated to empowering children, our hearts go out to the families in Texas and Florida affected by Hurricanes Harvey and Irma. As part of our commitment to help – we are partnering with the American Red Cross to collect donations to aid those in need. 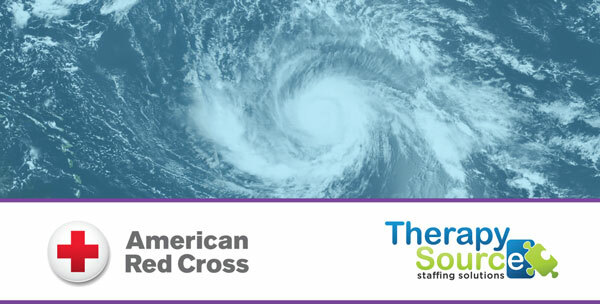 Please join us in supporting the relief efforts by donating online at redcross.org/therapysource. Therapy Source will match 100% of your donations made by September 30, 2017. Thank you for any amount you are able to give. To all those impacted – stay safe and stay strong. We are thinking of you.